You can earn 5X the Air Miles when you shop through airmilesshops.ca until Dec 31, 2018. 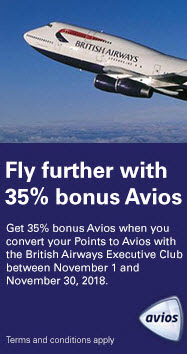 This is not a great offer, but still better than the normal 1X. Text the word “SHELL” to phone number 111222 before March 20, 2019. You’ll be asked to provide your 11-digit AIR MILES Card Number. 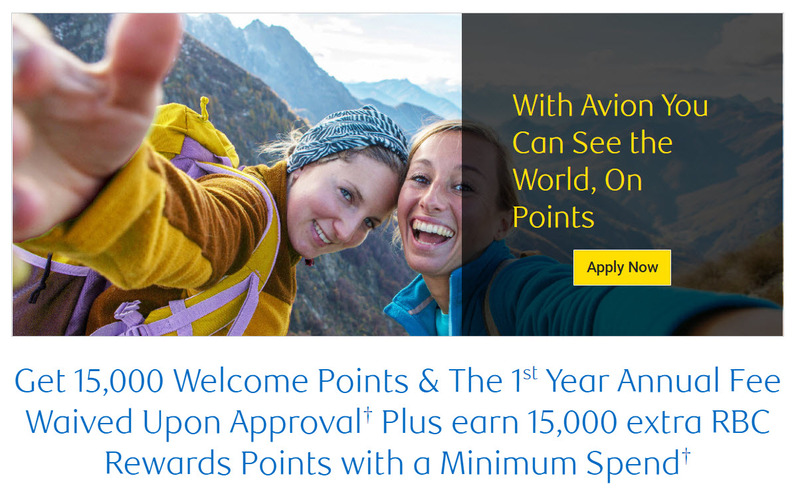 The offer will be loaded onto your AIR MILES Card and ready to use for a 10 week period. Your specific promotion dates will be sent to you via text. Once you get that text simply use your AIR MILES card when you fill up with at least 25L of fuel and get 10 Bonus Miles every time – up to 100! Offer can be used in store or at the pump. Hilton 2019 Q1 promotion is coming. 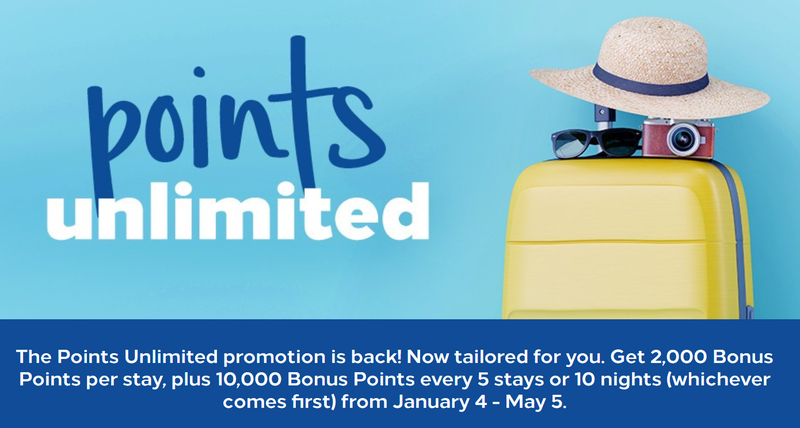 You can get 2,000 Bonus Points per stay, plus 10,000 Bonus Points every 5 stays or 10 nights (whichever comes first) from January 4 - May 5, 2019. Registration is required. 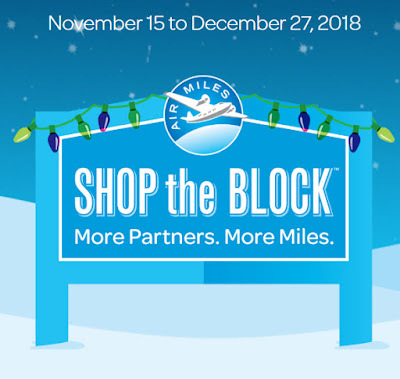 I just got an AmEx targeted offer (Dec 20, 2018). 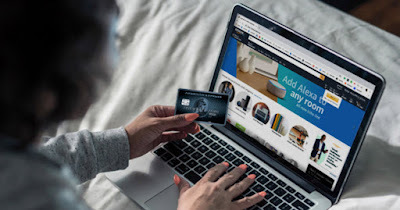 When I use my AmEx cards to spend $900 or more on an eligible prepaid hotel or car rental through AmEx Travel before Feb 28, 2019, I can earn 15000 MR points. 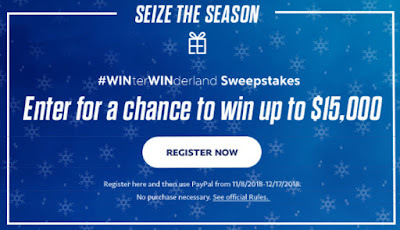 Please check your email to see if you get it or not. 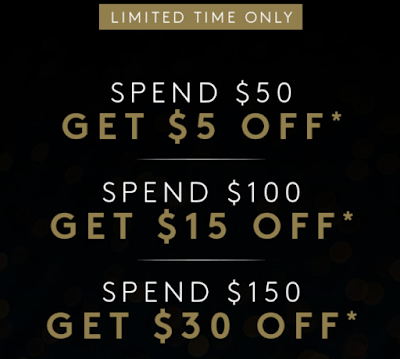 Someone may receive an offer to earn $300 credit when they spend $900 or more. From my point of view, $300 bonus is better than 15000 MR points. 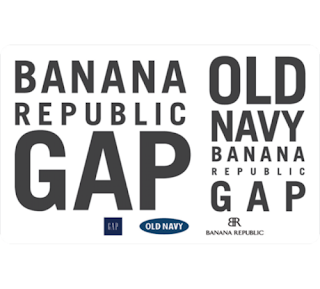 You can receive a Free $20 London Drugs gift card with the purchase of a $100 London Drugs gift card when purchase in-store. Limit 5 per customer per order. 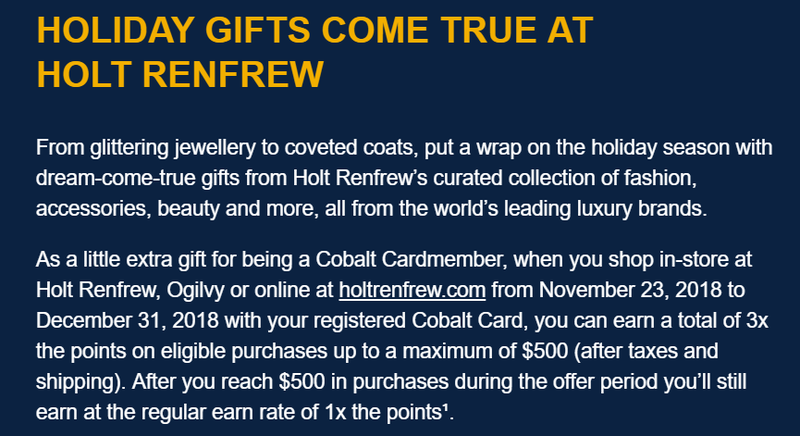 So, you can get $600 gift card when you spend $500 for gift card in store. 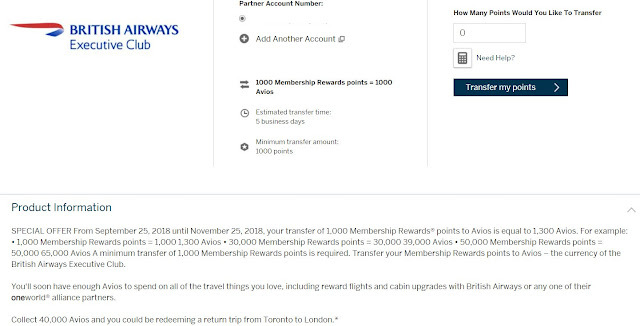 And you can use this London Drugs gift card to buy anything in the store except postal office items and insurance. 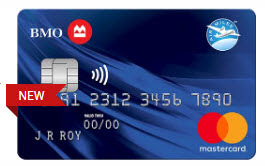 I suggest you to buy some Esso or Petro-Canada gift cards in the store. You could win $2000, if you use your EQ Bank Savings Plus Account to pay your bills before Jan 18, 2019. 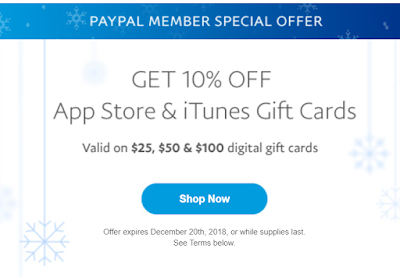 You can get 10% off on App Store & iTunes gift cards valued at $25, $50 & $100. 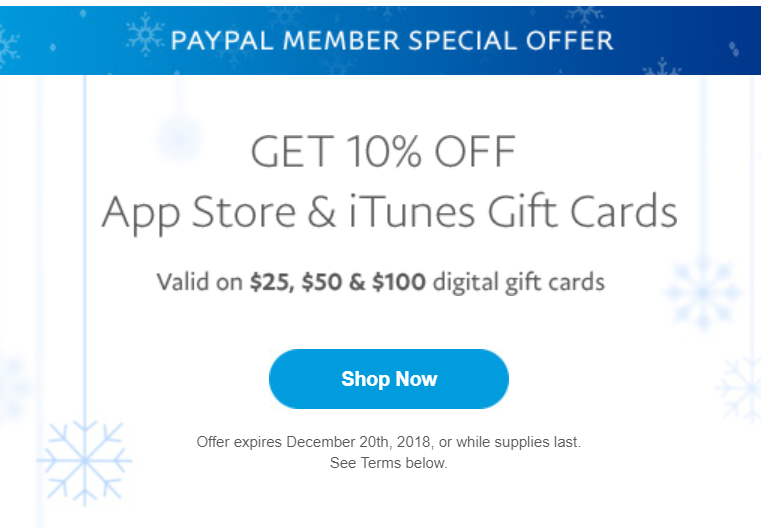 Offer is only valid for the PayPal account that receives targeted email; this offer is non-transferable, not redeemable for cash and not for resale. 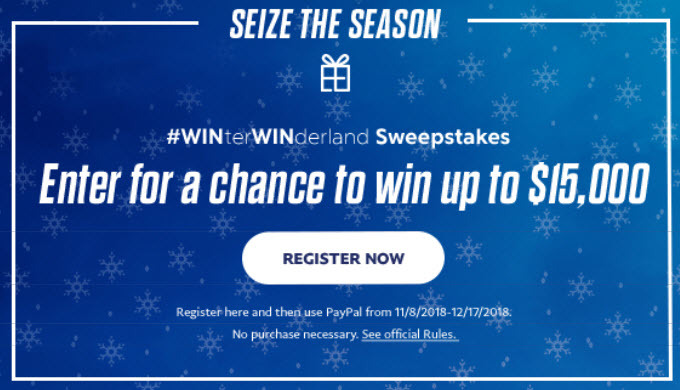 Offer is only available from December 18th, 2018 (05:00 ET) to December 20th, 2018 (11:59PM ET). 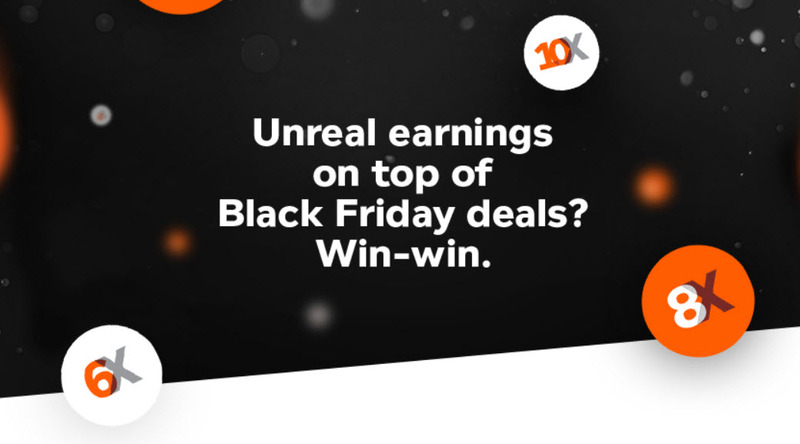 Aeroplan eStore currently has many good offers (please click the above link to find out). I am interested in the Apple offer (7X miles, Dec 15-19, 2018) and the Amazon.ca offer (10X miles until Dec 30, 2018). Note: some AmEx Cobalt cardholders can also use their 10X Cobalt MR offer with this eStore offer together at Amazon.ca between Dec 17-19, 2018 (https://www.canadianrewards.net/2018/12/amex-cobalt-earn-10x-mr-points-on.html). 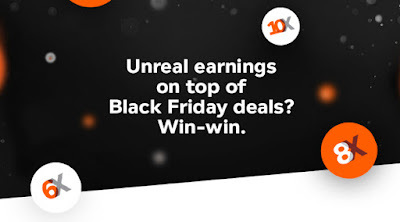 This is a targeted offer. 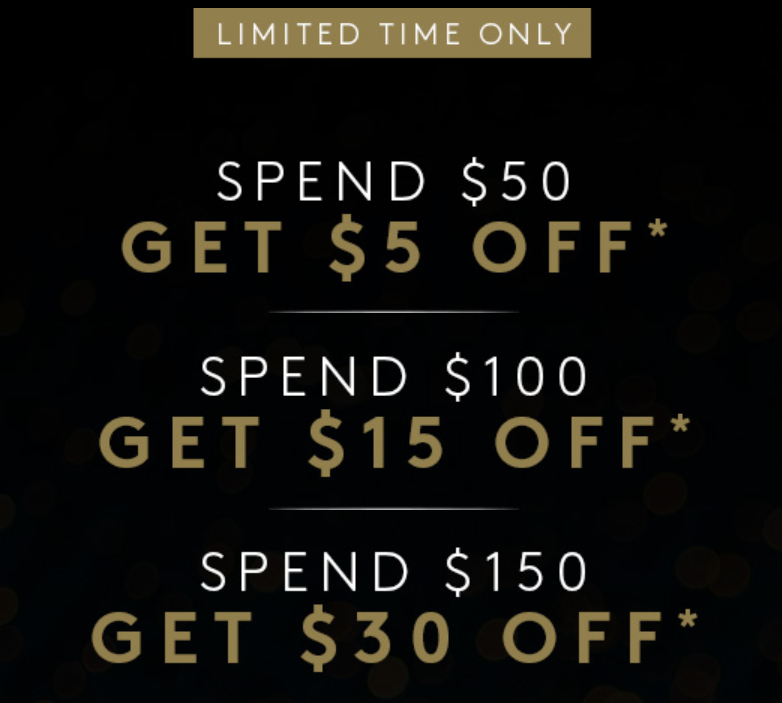 Most of my friends get this offer with different AmEx cards. 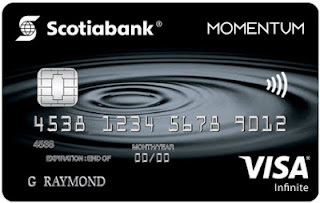 From Friday, December 14, 2018 to Monday, January 14, 2019, when you spend $200 (CAD) or more using your registered American Express Card at a participating Duty Free store at Toronto Pearson International Airport below you can earn a $50 (CAD) statement credit. 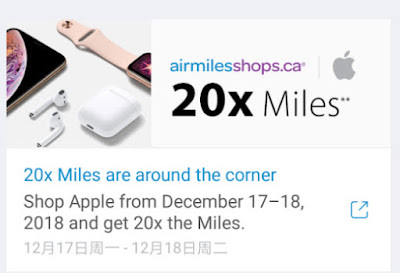 You can get 20X Air Miles when you shop Apple through airmilesshops.ca from Dec 17 to Dec 18, 2018. This is roughly 10% cash back. 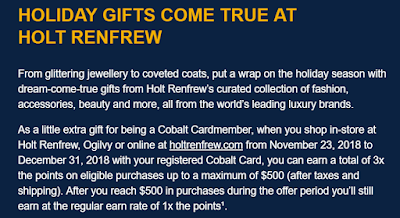 This is a pretty good offer to AmEx Cobalt cardholders. 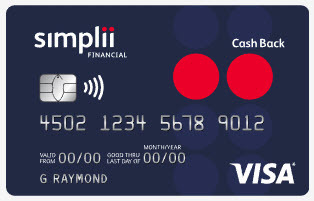 If you did not receive it in your email, please call AmEx to ask. Registration is required. 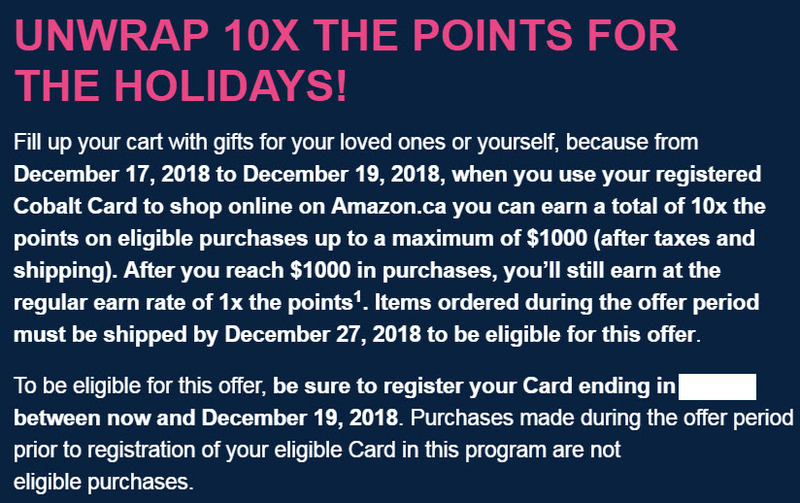 You can earn a total of 10 Membership Rewards points for every $1 in eligible purchases charged to your registered card on Amazon.ca up to a maximum of $1000 in purchases during the offer period. 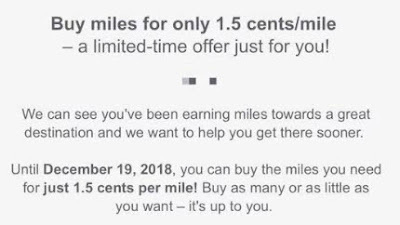 There is a targeted offer from Aeroplan that you can buy Aeroplan for only CAD 1.5 cents/mile before Dec 19, 2018. This is a really good price (Some people's offer is CAD 1.8 cents/mile, which is not very good). Lucky me! 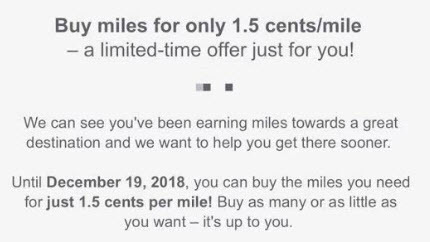 I got this 1.5 cents/mile offer, and I will buy some Aeroplan miles for sure! 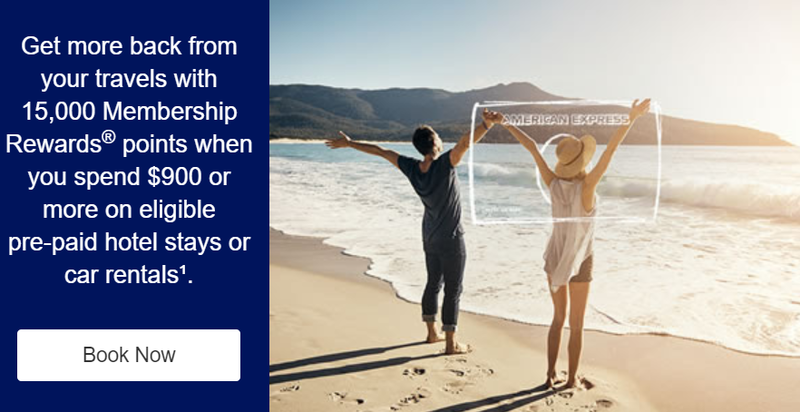 TD has a special $500 offer available to new TD All Inclusive Banking Plan customers located in the Greater Vancouver Area! 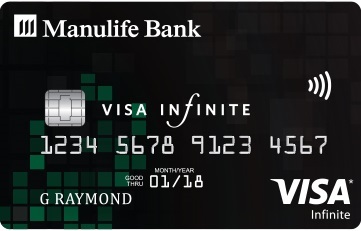 Open a new TD All Inclusive Banking Plan by January 31, 2019.